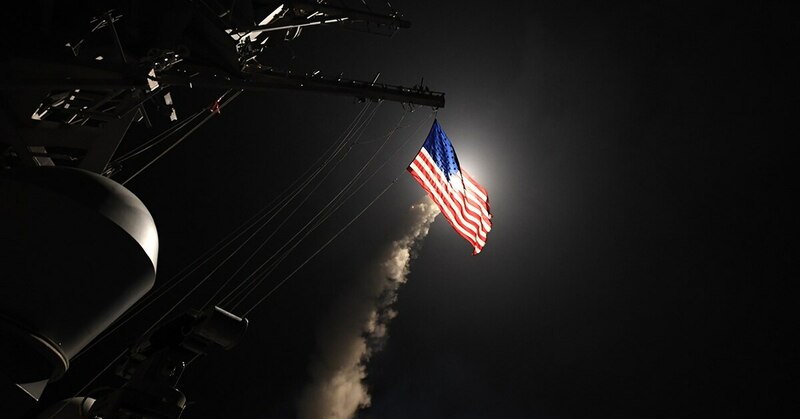 WASHINGTON — Defying Russian warnings against U.S. military strikes in Syria, President Donald Trump said Wednesday that missiles “will be coming” in response to Syria’s suspected chemical attack that killed at least 40 people. Trump did not detail what a strike would look like, or whether these would be U.S. missiles. U.S. officials have been consulting with global allies on a possible joint military response to Syria’s alleged poison gas attack. Trump canceled a foreign trip in order to manage a crisis that is testing his vow to stand up to Syrian President Bashar Assad. The term “smart” missile dates to the introduction decades ago of weapons with advanced guidance systems — for example, using GPS — to achieve greater precision in targeting. The term was meant to contrast with “dumb” bombs lacking such technology. Virtually all U.S. missiles now have advanced guidance systems. U.S. intelligence is still not clear on who committed chemical weapons attacks, Mattis said. Russian lawmakers have warned the United States that Moscow would view an airstrike on Syria as a war crime and that it could trigger a direct military clash between the two former Cold War adversaries. Russia’s ambassador to Lebanon said any missiles fired at Syria would be shot down and the launching sites targeted — a stark warning of a potential major confrontation. Trump’s administration has sought to show toughness on Russia, with a series of economic and diplomatic actions, including new sanctions last week against government officials and oligarchs. Trump has largely avoided criticizing Russian President Vladimir Putin by name, though he singled him out in a tweet over the weekend for supporting Assad. 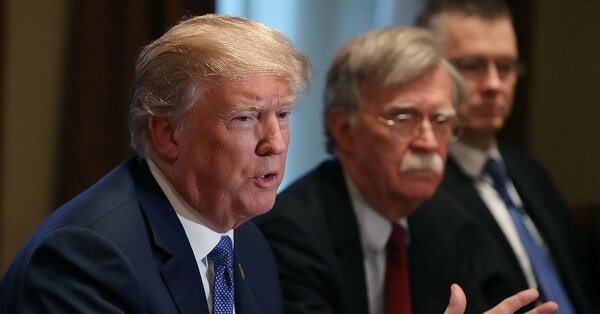 The U.S., France and Britain have been in extensive consultations about launching a military strike as early as the end of this week, U.S. officials have said. A joint military operation, possibly with France rather than the U.S. in the lead, could send a message of international unity about enforcing the prohibitions on chemical weapons and counter Syria’s political and military support from Russia and Iran. Trump suggested Monday he had little doubt that Syrian government forces were to blame for what he said was a chemical attack, but neither he nor other administration officials have produced hard evidence. This is in contrast to an incident one year ago in which U.S. intelligence agencies had video and other evidence of certain aspects of the actual attack, which involved the use of sarin gas. Trump responded then by launching Navy cruise missiles at a Syrian airfield. One official said the U.S., France and Britain were considering military options that would be more extensive than the punitive, one-day strike last April. The three countries are discussing a range of options, including preventing Assad from conducting future attacks by striking military capabilities involved in carrying out such attack, the official said. Macron, asked whether France would take military action, said his country would continue discussing technical and strategic information with U.S. and British allies and “in the coming days we will announce our decision.” He said any action would “target chemical weapons” stocks. Under a 2013 agreement for which Russia was a guarantor, Syria was to have eliminated all its chemical weapons, but it has used chlorine and perhaps other chemicals since then. Trump spoke by phone with British Prime Minister Theresa May. A British government statement said the two agreed the attack in Syria was “utterly reprehensible” and the international community must respond “to uphold the worldwide prohibition on the use of chemical weapons.” Trump met at the White House with the emir of Qatar, Sheikh Tamim bin Hamad Al Thani, who told reporters that he and Trump “see eye to eye” on Syria. A watchdog agency, the Organization for the Prohibition of Chemical Weapons, announced that it would “shortly” send a fact-finding mission to Douma, after receiving a request from the Syrian government and its Russian backers to investigate the allegations. It was not immediately clear whether that visit might affect any U.S. or allied military action.